Can the different actors build on farmers’ needs, experiences and interests and go beyond participatory methodologies, to include farmer-led approaches? How do we organise a conference that is coherent with the transformative, inclusive and creative learning that is so central in agroecology? The European Common Agricultural Policy was challenged by several participants for its lack of explicit support to agroecology and small scale farmers. The question was raised how better connections can be established between farmers, researchers and policy makers in order to elaborate diverse public policies that provide localized solutions and actually respond to farmers’ and other people’s needs. – Trajectories and professionalisation of young agroecologists. Participants agreed to continue the conversation on how different actors can collaborate better in amplifying agroecology, how to ensure that the knowledge of those who produce food is valued more in future research, and how work can be carried out in synergy for better agricultural development, food safety, land ownership, education, public health and other related policies in support of agroecology. 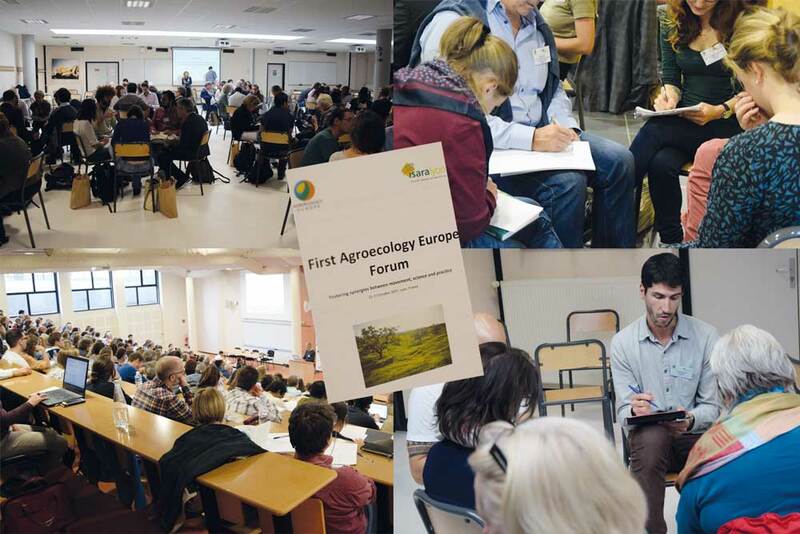 The Forum demonstrated once more the importance of ensuring that agroecology, as it is increasingly discussed at academic fora and in political conferences, remains in the hands of people in the territories, who practice agroecology in order to achieve sustainable livelihoods and food sovereignty. As Paulo Petersen from Brazil stated: “Agroecology is a shift of both paradigm and perception”.